^ Scoffern, John (1861). 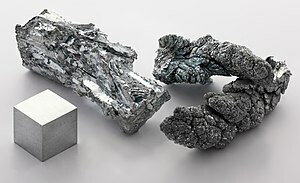 The Useful Metals and Their Alloys. Houlston and Wright. pp. 591–603. https://books.google.com/?id=SSkKAAAAIAAJ 2009年4月6日閲覧。. ^ Ingalls, Walter Renton (1902). Production and Properties of Zinc: A Treatise on the Occurrence and Distribution of Zinc Ore, the Commercial and Technical Conditions Affecting the Production of the Spelter, Its Chemical and Physical Properties and Uses in the Arts, Together with a Historical and Statistical Review of the Industry. The Engineering and Mining Journal. pp. 142–6. https://books.google.com/?id=RhNDAAAAIAAJ&pg=PA133. ^ Porter, Frank C. (1994). Corrosion Resistance of Zinc and Zinc Alloys. CRC Press. p. 121. ISBN 0-8247-9213-0. ^ a b c d e f g h Holleman, Arnold F.; Wiberg, Egon; Wiberg, Nils (1985). “Zink” (German). Lehrbuch der Anorganischen Chemie (91–100 ed.). Walter de Gruyter. pp. 1034–1041. ISBN 3-11-007511-3. ^ Hinds, John Iredelle Dillard (1908). Inorganic Chemistry: With the Elements of Physical and Theoretical Chemistry (2nd ed.). New York: John Wiley & Sons. pp. 506–508. https://books.google.com/?id=xMUMAAAAYAAJ. ^ Ritchie, Rob (2004). Chemistry (2nd ed.). Letts and Lonsdale. p. 71. ISBN 1-84315-438-2. https://books.google.com/?id=idT9j6406gsC. ^ Burgess, John (1978). Metal ions in solution. New York: Ellis Horwood. p. 147. ISBN 0-470-26293-1. ^ Brady, James E.; Humiston, Gerard E.; Heikkinen, Henry (1983). General Chemistry: Principles and Structure (3rd ed.). John Wiley & Sons. p. 671. ISBN 0-471-86739-X. ^ Kaupp M.; Dolg M.; Stoll H.; Von Schnering H. G. (1994). “Oxidation state +IV in group 12 chemistry. Ab initio study of zinc(IV), cadmium(IV), and mercury(IV) fluorides”. Inorganic Chemistry 33 (10): 2122–2131. doi:10.1021/ic00088a012. ^ Erickson, RL (1973). “Crustal Abundance of Elements, and Mineral Reserves and Resources”. U.S. Geological Survey Professional Paper 820: 21–25. ^ Gordon, R. B.; Bertram, M.; Graedel, T. E. (2006). “Metal stocks and sustainability”. Proceedings of the National Academy of Sciences 103 (5): 1209–14. Bibcode 2006PNAS..103.1209G. doi:10.1073/pnas.0509498103. PMC 1360560. PMID 16432205. https://www.ncbi.nlm.nih.gov/pmc/articles/PMC1360560/. ^ Gerst, Michael (2008). “In-Use Stocks of Metals: Status and Implications”. Environmental Science and Technology 42 (19): 7038–45. Bibcode 2008EnST...42.7038G. doi:10.1021/es800420p. PMID 18939524. ^ Meylan, Gregoire (2016). “The anthropogenic cycle of zinc: Status quo and perspectives”. Resources, Conservation and Recycling: In press. doi:10.1016/j.resconrec.2016.01.006. ^ Housecroft, C. E.; Sharpe, A. G. (2008). Inorganic Chemistry (3rd ed.). Prentice Hall. p. 739–741, 843. ISBN 978-0131755536. ^ Grolier contributors (1994). Academic American Encyclopedia. ダンベリー, コネチカット州: Grolier Inc.. p. 202. ISBN 0-7172-2053-2. https://books.google.com/?id=YgI4E7w5JI8C. ^ Shulzhenko, A. A.; Ignatyeva, I. Yu. ; Osipov, A. S.; Smirnova, T. I. (2000). “Peculiarities of interaction in the Zn–C system under high pressures and temperatures”. Diamond and Related Materials 9 (2): 129–133. Bibcode 2000DRM.....9..129S. doi:10.1016/S0925-9635(99)00231-9. ^ Rasmussen, J. K.; Heilmann, S. M. (1990). “In situ Cyanosilylation of Carbonyl Compounds: O-Trimethylsilyl-4-Methoxymandelonitrile”. 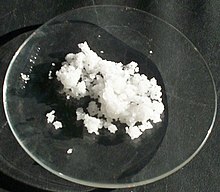 Organic Syntheses, Collected Volume 7: 521. http://www.orgsyn.org/orgsyn/prep.asp?prep=cv7p0521. ^ Perry, D. L. (1995). Handbook of Inorganic Compounds. CRC Press. pp. 448–458. ISBN 0-8493-8671-3. ^ Frankland, E. (1850). “On the isolation of the organic radicals”. Quarterly Journal of the Chemical Society 2 (3): 263. doi:10.1039/QJ8500200263. ^ CRC contributors (2006). David R. Lide. ed. Handbook of Chemistry and Physics (87th ed.). Boca Raton, Florida: CRC Press, Taylor & Francis Group. p. 11-70. ISBN 0-8493-0487-3. https://books.google.com/?id=WDll8hA006AC&pg=PT893. CRC contributors (2006). David R. Lide. ed. Handbook of Chemistry and Physics (87th ed.). Boca Raton, Florida: CRC Press, Taylor & Francis Group. ISBN 0-8493-0487-3. https://books.google.com/?id=WDll8hA006AC&pg=PT893. Emsley, John (2001). “Zinc”. Nature's Building Blocks: An A-Z Guide to the Elements. Oxford, England, UK: Oxford University Press. pp. 499–505. ISBN 0-19-850340-7. https://books.google.com/?id=j-Xu07p3cKwC. Heiserman, David L. (1992). “Element 30: Zinc”. Exploring Chemical Elements and their Compounds. New York: TAB Books. ISBN 0-8306-3018-X. https://books.google.com/?id=24l-Cpal9oIC. Lehto, R. S. (1968). “Zinc”. In Clifford A. Hampel. The Encyclopedia of the Chemical Elements. New York: Reinhold Book Corporation. pp. 822–830. ISBN 0-442-15598-0. LCCN 68-29938.